ErtelAlsop > About ErtelAlsop > News and Press Releases > Filter Media > Depth Filtration, What is it? The characteristic of depth filter media allow for fine filtrate removal with the flexibility to develop large filter cakes if needed. 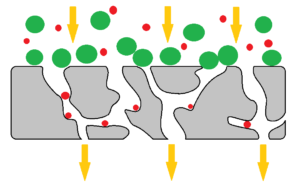 Depth filtration clarifies through several means of retention including sieving, interception, adsorption, and absorption. 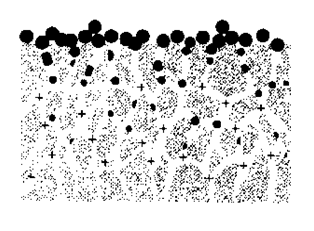 Sieving occurs when the particulate is larger than the pore spaces in the media, and therefore cannot pass through. Interception of solids occurs in depth media due to loss of energy. 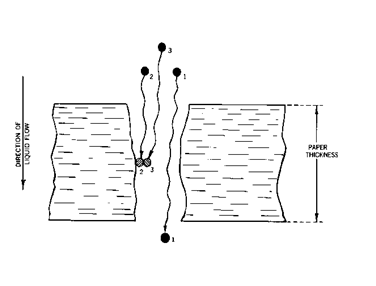 Solids must pass through a tortuous path while crossing the depth of the filter media. The loss of energy experienced traps solids within the matrix. 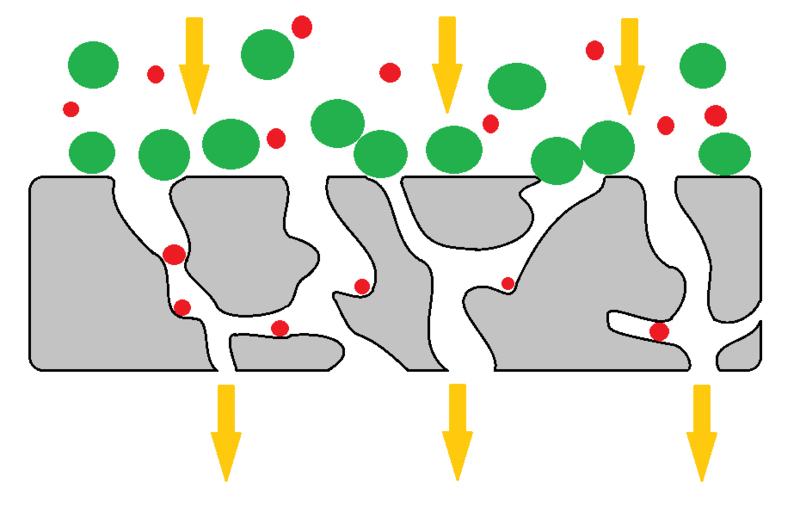 Adsorption is the adhesion of molecules to the solid structure that they are in contact with. 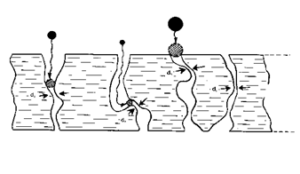 Adsorption usually occurs as a result of physical attraction between molecules (van der Waals force), chemical attraction at the surface/molecule interface, or more commonly in depth media through electro-static attraction. ErtelAlsop depth media is manufactured with varying amounts of wet strength resin mixed with cellulose fibers, the presence of these resins creates an inherent positive charge in our depth media filters. This positive charge (referred to as Zeta potential) generates an electro-static attraction (adsorption!) to negatively charged contaminants in the slurry stream. For more information about how Depth Media can work for your process click here to Contact us today! By erteladmin | Published April 27, 2016 | This article was posted in Filter Media and tagged adsorption, depth filter, depth filter media, depth filtration, interception, sieving, Zeta Potential. Bookmark the permalink. Follow comments with the RSS feed for this post. Post a Comment or leave a trackback: Trackback URL.